RJ11 To BT Socket Adapter - RJ11 Modem Cable & Accessories RJ11 ADSL Cables. 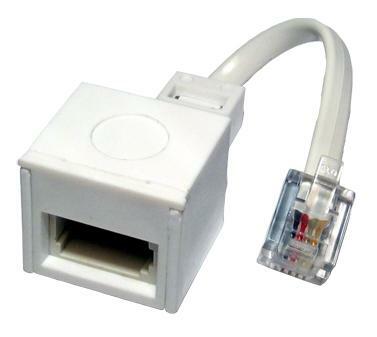 This adapter will allow you to convert a BT type plug into an RJ11 plug. Cables2u are a Manchester based supplier of cables. Currently viewing: RJ11 To BT Socket Adapter - RJ11 Modem Cable & Accessories RJ11 ADSL Cables.